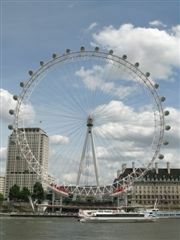 London is one of the culture capitals of the world and is brimming with exciting things to see and do. Take a breathtaking trip on the London Eye, explore the amazing collections in galleries and museums as diverse as the Tate Modern and Natural History Museum or immerse yourself in the history of the city at Westminster Abbey or the Tower of London. When the Millennium Commission announced their intention to build an observation wheel that would stand 135 metres over the city of London, people were initially cynical. But the London Eye has turned out to be the finest and most popular new attraction in London since Queen Victoria's Great Exhibition. The Eye now welcomes between 3.5 and 4 million guests every year and, conceived and designed by Marks Barfield Architects, is a feat of modern engineering, both beautiful to look at and from. When constructed in 1999, it was the tallest observation wheel in the world and, though it has now been surpassed by similar constructions in China and Singapore, it allows you to see one of the world's most exciting cities from a completely new perspective. Sir Christopher Wren's mighty St Paul's Cathedral draws the eye like nothing else in London, even though the City's skyscrapers now tower above it. The centrepiece of the great reconstruction of London after the great fire of 1666, it is still the spiritual focus of Great Britain. Royal weddings and birthdays, the funerals of Britain's leaders and services to celebrate the ends of wars all take place beneath the famous dome. The cathedral miraculously survived the Blitz in World War II and served as an inspirational symbol of strength. Explore the medieval relics in the crypt, the gorgeous Victorian mosaics and up to the staggering views of London from the top of the dome. Founded in 1753 when Sir Hans Sloane left his collection of 71,000 objects of interest, the British Museum's charter insists that it be open free of charge "to all studious and curious persons". The museum expanded rapidly in the nineteenth century and now contains around 7 million objects, some more than 10,000 years old. Spend an afternoon exploring the relics of ancient Egyptian and Greek empires and come face to face with mankind's greatest cultural achievements. 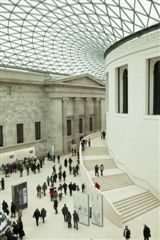 Walk through the impressive columned entrance, through Lord Norman Foster's breath taking glass domed Great Court and wander the seemingly endless corridors and displays. The museum is a treasure trove of objects from the whole world and the entire span of human history and prehistory. HMS Belfast, moored at Morgan's Lane off Tooley Street, is a World War Two cruiser with nine decks. As you explore this floating museum, pop into the Captain's Bridge and then head down to the massive Boiler and Engine Rooms, well below the ship's waterline. Launched on St Patrick's Day (17th March) 1938, the 187-metre long ship is a 6-inch cruiser (the inches denote the size of its guns), designed for the protection of trade, for offensive action, and to support military operations by aiding landings from the sea. One of her last jobs was to help evacuate emaciated survivors of Japanese prisoner of war and civilian internment camps from China. Up until the autumn of 1947 she was fully occupied with peace-keeping duties in the Far East. Following a stint in Korea she was retired in 1952 and long after was given to the public in 1971. A collapsed gangway in 2011 caused the ship to close for members of the public but it was successfully re-opened in May 2012. For a thousand years the Tower of London has protected, threatened, imprisoned and occasionally executed the people of London. Originally the fortress of the hated Norman conquerors, built with imported white stone from France, it has been through many different incarnations in its life; the bloody tower where Richard III allegedly murdered his nephews, a patriotic symbol, home to British monarchs and armies, a prison and in modern times a treasury museum and UNESCO World Heritage site. 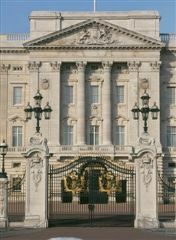 The biggest draw for visitors are the crown jewels: crowns, sceptres, plate, and the two largest cut diamonds in the world are among the objects in the collection. The medieval palace, traitors gate, the beefeaters and the ravens make visits wonderfully atmospheric. The setting for every coronation since 1066 and the burial ground for kings, statesmen, scientists, musicians and poets, Westminster Abbey is a true Medieval masterpiece. 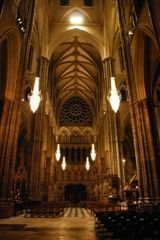 Stunning gothic architecture, the fascinating literary history represented by poets corner, the artistic talent that went into the statues, murals, paintings and tombs, and the fantastic stained glass, combine to make Westminster Abbey the most enduringly stunning of London's churches. As the audience walks around the sacred space, a company of 22 actors brings to life Shakespeare's drama, poetry, dance and song to mark The Bard's birthday. Now more commonly known as the Houses of Parliament, the Palace of Westminster began life in 1042 as a royal residence under Edward the Confessor. The major structure to survive various fires, Westminster Hall was built between 1087 and 1100 and is one of the largest medieval halls in Europe with an unsupported hammerbeam roof. During the 14th century the Hall housed the courts of law as well as shops and stalls selling legal equipment - wigs and pens. 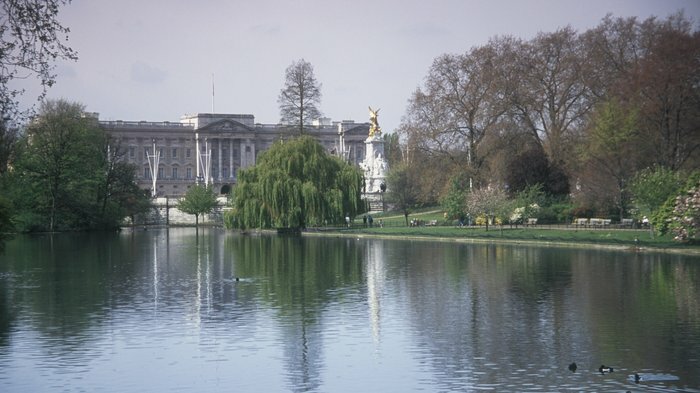 Following a fire in 1512, Henry VIII abandoned the Palace and it has been home to the two seats of Parliament - the Commons and the Lords - ever since. Yet another disastrous fire in 1834 destroyed everything except Westminster Hall and the Jewel Tower. A competition to redevelop the whole site was won by Sir Charles Barry and Augustus Pugin who came upwith the mock Gothic building that has become such a familiar landmarktoday and includes Big Ben (the bell that chimes on the hour) and the largest clock face in the country. Members of the public can watch debates when Parliament is in session - you don't need tickets in advance but may have to queue. To watch Prime Minister's Question Time (Wed 12noon, when Parliament is sitting) it's advisable to get tickets in advance. The National Gallery is visible in its full glory in the heart of the pedestrianised Trafalgar Square. Its permanent collection houses some of the world’s most important paintings from as far back as the 13th century. Gaze upon the works of greats such as Titian, da Vinci, Rembrandt, Monet, Renoir, Cezanne, Raphael and Van Gogh. Built in 1832-1833, in an attempt to outshine Paris’s Louvre, it aspires to make art accessible to all with free admission, a central location and extended opening hours. The important thing in planning your visit is not to try and see everything. You could spend a week wandering through its hallowed halls, and still miss many of the greatest works of European art. Tate Modern is London's most visited and innovative gallery - housed in a former power station, the space itself is as much as an attraction as its collections and exhibitions. The journey there can be an adventure in itself: take the tube to Blackfriars, cross the river on the 'Blade of Light' Millennium Bridge and admire the startling contrast between historic St Paul's Cathedral and this uber modern art gallery. The interior is a glorious, unpretentious playground of modern art, as appealing to children and amateurs as it is to adults and art experts. Permanent collections includes works by Bacon, Matisse, Rothko and Andy Warhol as well as the best of contemporary British art. See London from above in Western Europe's tallest building. When it officially opened on Thursday 5th July 2012, The Shard became the tallest building iThe Shardn the European Union and the 45th tallest building in the world. Designed in 2000 by Renzo Piano, an Italian architect best known for creating Paris's Pompidou Centre in collaboration with Britain's Richard Rogers, the mixed use Shard building, visible from wherever you are in London, combines offices, three floors of restaurants and the 5-star Shangri-La Hotel with residential apartments - Europe's highest homes; yours for 30 to 50 million pounds - and London's highest viewing gallery. Covered in 11,000 panes of glass, the 'vertical city' in the newly created London Bridge Quarter is well connected with London Bridge Tube and train stations ferrying people to and from the hard-to-miss London landmark. The public viewing galleries, way up on floors 68 to 72, open early February 2013 but you can pre-register now to be the first to get tickets when they go on sale at 9am on Friday 6th July 2012. In the meantime you can enjoy the virtual views 40 miles across the city online. Vertigo sufferers need not apply. See our full feature on The Shard. From cheap budget hotels to luxury 5 star suites see our deals for hotels, including Holiday Inn London Mayfair from 48% off.